Costaluz Lighting - Outdoor Lighting ~ Best Price Guaranteed! If you live in a coastal area, your outdoor lighting takes an especially tough beating from the salt air. Besa Lighting, a leading manufacturer of well-designed, reliable and elegant lighting fixtures, developed the Costaluz brand to be extremely durable outdoor lights for coastal areas. 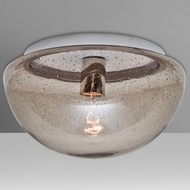 In addition to collaborating with European and American craftsmen for handcrafted glass in both traditional and modern styles, they use their industry expertise to create corrosion-resistant lights that can remain effective and beautiful in the harshest environments. We offer a large selection of Costaluz outdoor wall lights, sconce lighting and outdoor post lights in many traditional and contemporary styles. These affordable outdoor lights from Costaluz Lighting are made with powder coated cast aluminum, durable finishes and stainless steel parts that resist the harmful effects of salt air. The decorations on the fixtures are hand-applied by skilled artists and then fired for a long-lasting finish that won't peel, fade or tarnish. 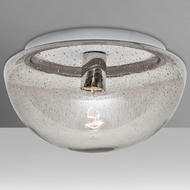 These durable light fixtures meet the requirements of coastal locations and any type of inclement weather. Since 1999, AffordableLamps.com has been your premiere online source for exceptionally well-designed luxury lamps at affordable prices. We represent 40-plus of the world's most respected names in lighting, and our inventory features more than 30,000 products. In addition to the widest selection of low-cost lights, we offer unsurpassed customer service, before, during and after your purchase. Our extended 2-year warranty, free shipping on orders of $100 or more, and a low-price guarantee put us ahead of the competition.